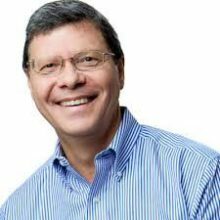 Until he stepped down in December 2016, Charlie Sykes was one of Wisconsin’s top-rated and most influential conservative talk show hosts. He’s currently an MSNBC contributor, a contributing editor at the Weekly Standard magazine, and the host of that magazine’s Daily Standard Podcast. Charlie also appears regularly on a variety of network and nationally syndicated news programs, and writes for The New York Times, The Wall Street Journal, Politico and many other national publications. As demonstrated in his online and televised commentaries and his latest book, How the Right Lost Its Mind, Charlie is an outspoken critic of the Trump Administration and the conservative “alternative reality” media that he was once labeled as being a part of. Join us on April 24th to hear Charlie’s thoughts on President Donald Trump, current political events and the future of the Republican Party.